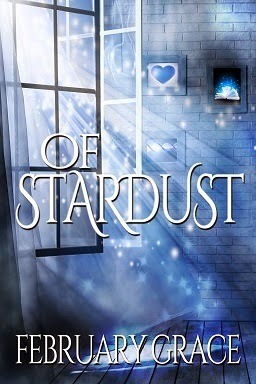 Of Stardust is a sweet paranormal romance with a unique concept. I had never read a book about fairy godmothers before, so I was excited when this book was chosen as my Random Read. It just seemed like such a fun idea! Wanted more magic. While I loved the romance in this book, I wish that there had been a bit more of a focus on Till's education as a fairy godmother, rather than on the romance. 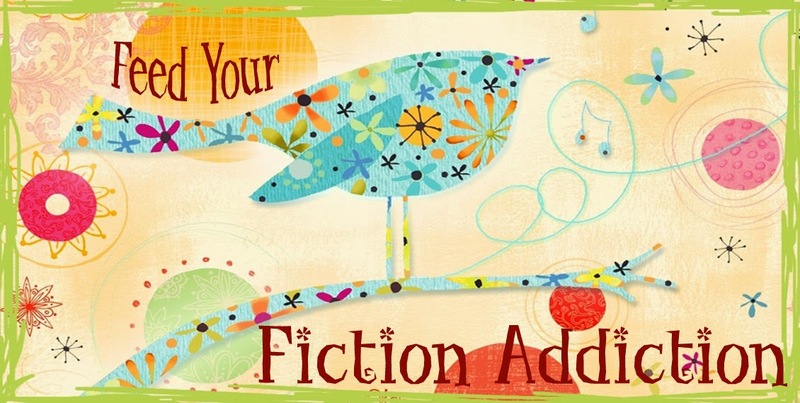 (Or maybe the same amount of romance, but with more of the magic in between - so the book would have been a bit longer). I loved the idea of Till's powers and how they manifested - there were cute references to changing pumpkins into carriages and learning how to design ball gowns, but I would have liked even more of this! No fairy fraternizing rule. I wish it had been explained a bit more why fairy godmothers weren't allowed to be in relationships. The fact that this was forbidden was a huge part of the story, but the reasoning was never really explained. Till and Gus. Till and Gus were very sweet together. Gus was one of the most endearing book boyfriends I've read about in quite a while - he was sweet and caring and pretty much adorable (and that accent made me swoon a little, I have to admit). But Gus also knew how a relationship between fairies could turn painful - he had experienced it with his own parents. So he was realistically cautious, trying his hardest not to fall for Till or to allow her to fall in love with him and get hurt in the process. Of course, it didn't work out that way. Till had never really believed that she would find romance. When her world was turned upside down with the news that she was a fairy godmother, love was really not at the top of her list of concerns. So the relationship between Gus and Till grew slowly, moving from friendship to romance. I loved this! I truly felt a connection between the two characters as best friends, which made me root for them all the more as a couple! Fairy godmothering. The whole concept of being a fairy godmother (or godfather) was just too much fun! But I also loved how seriously they took their jobs. Gus' dedication to his charges was just one more of his incredibly endearing qualities, and I loved how he showed Till the true importance of their work. The people that they were assigned to depended on them. So, I loved seeing both the fun, whimsical side to the job and the more serious aspect to it as well! This was a really fun paranormal romance, and I'm looking forward to reading the next book in the series to find out what happens between Till and Gus. I've already purchased the next book (which came out at the end of April), so watch for an upcoming review! I give this one 4/5 stars.